For any document that has to be circulated in offices, it is considered a must for it to follow the business format. Used interchangeably with “formal” or “professional,” this is the employed standard. Companies and businesses have established templates that employees could easily refer to. 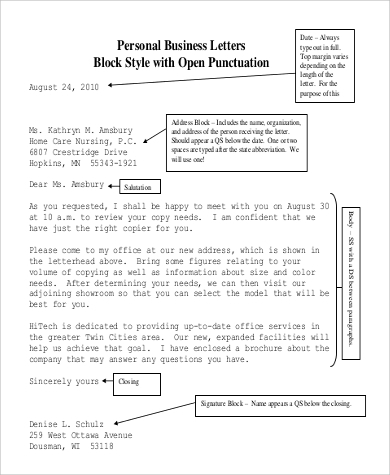 For any office document, there are business, formal, or professional guidelines to follow, like in these Business Proposal Samples. But if you are a client or a customer that is doing the sending, then learn the industry standards with this post and these samples. 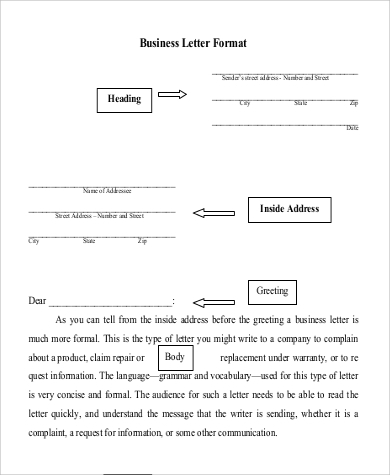 There are classes and seminars that are dedicated solely on teaching the business letter format, so it is definitely understandable that you would have some initial struggle. Use this post however as a starter’s guide. 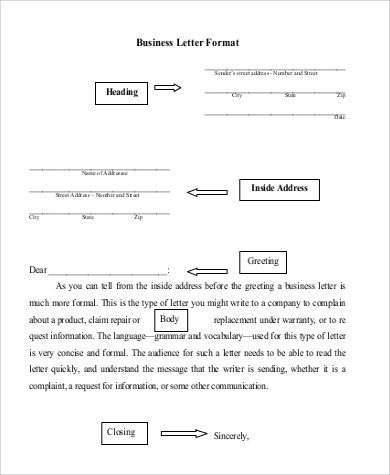 There is a science to formatting business letters, as it is very technical. Refer to these samples as your guide. Bond Paper SizeThere are three standard bond paper sizes: letter, legal, and A4. Respectively, these sheets of paper measure 8.5” by 11,” 8.5” by 14,” and 8.27” by 11.69.” The letter sized bond paper is the standard, but the A4 bond paper is most commonly used outside the United States. 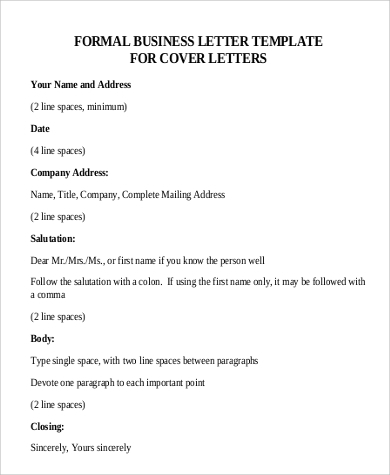 The legal bond paper is reserved for contracts and the like. FontsThe preferred font faces are Times New Roman and Arial, sized 12. You can opt to choose another font style for as long as you ensure readability. MarginUnless otherwise specified, put 1” margins on all sides of the bond paper. AlignmentYour letter’s content must be justified. Everything else should be aligned to the left. 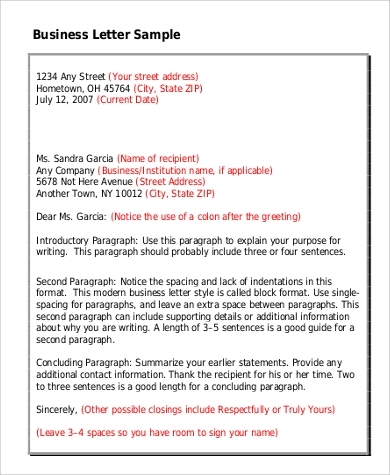 ParagraphingUnlike for compositions or essays, do not indent your paragraphs. Do block-paragraphing instead, which means that you press “enter” on your keyboard twice at the end of every paragraph. This should leave you with visible spaces between them. 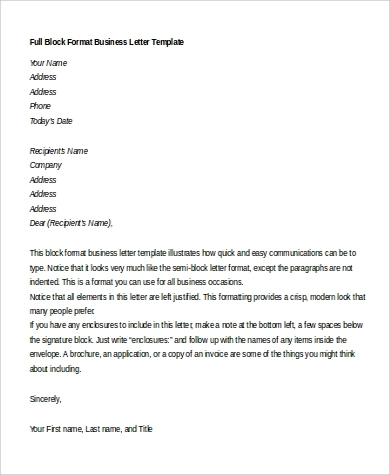 SpacingEverything after your address as the sender to the end of your letter’s content should be block-paragraphed. Note that after the closing remark, however, put in four lines of space. 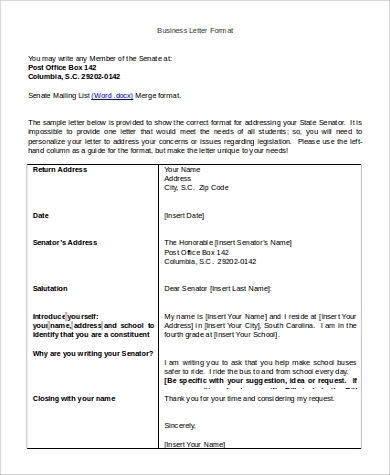 Doing so allows you to sign above your printed name as the sender. 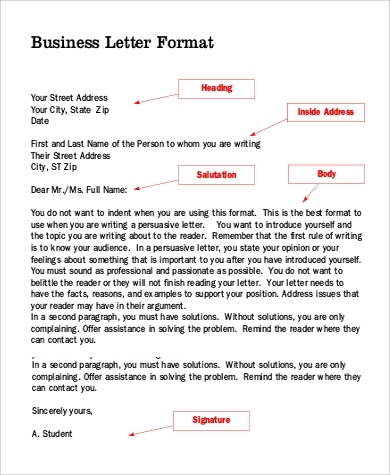 To guide you further, have a look at these Formal Business Letter Formats. 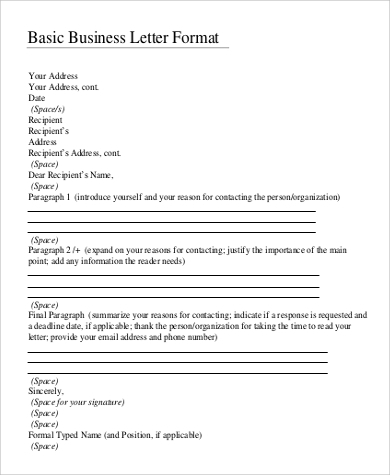 Any document or letter to be submitted or exchanged in the office must be formally formatted. 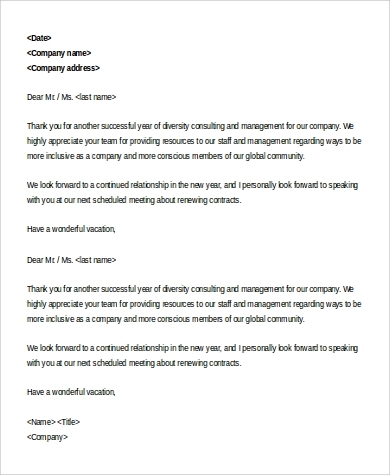 Even non-binding or authoritative articles like these Sample Business Thank You Letters are formally or professionally arranged.